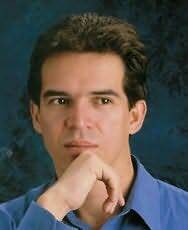 Edmundo Paz Soldán is the author of six novels and two short story collections. He was awarded the 2002 Bolivian National Book Award for Turing's Delirium and a 2006 Guggenheim Fellowship. He has won the National Book Award in Bolivia, the prestigious Juan Rulfo Award, and was a finalist for the Romulo Gállegos Award. He is an associate professor at Cornell University. One of the few McOndo writers who live in the United States, he is frequently called upon as the movement's spokesperson by the American media.